Hahnemühle Gallerie Wrap Pro offers professional framing especially for larger art works or prints. 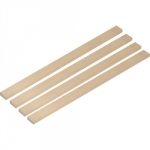 The stretching bars are particularly stable providing a depth of 4,50 cm. Six different lengths ranging from 8 inches (20.32 cm) to 40 inches (101.6 cm) are available so you can tailor the frame size to suit your requirements. The depth of the bars must be taken into account when stretching the picture, i.e. the picture must be 5 cm wider on each side than the frame itself. Additional center braces are available which can be used horizontally or vertically to add stability to larger pictures. An additional feature of the Gallerie Wrap Pro range are extenders. They are used to connect two stretcher bars so that square or rectangular frames of any size can be assembled. 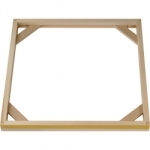 PLEASE NOTE: 8" and 10" bars do NOT come with wooden corner braces / tensioners. 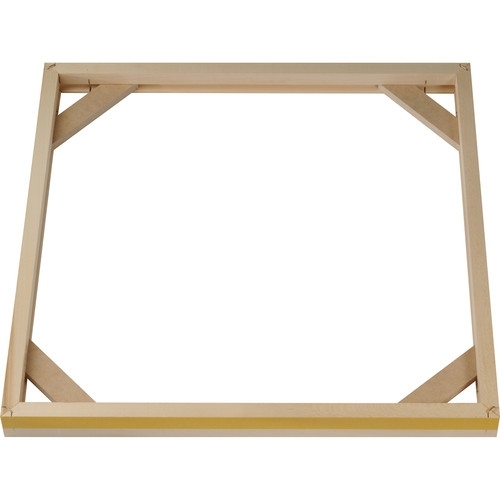 Only the 8-packs of 12", and longer, come with wooden corner braces / tensioners. Hahnemühle Gallerie Wrap Pro Bars 30 in. x 1.75 in.